The Adventures of Fi: Ten Favourite Things, the Christmas edition! 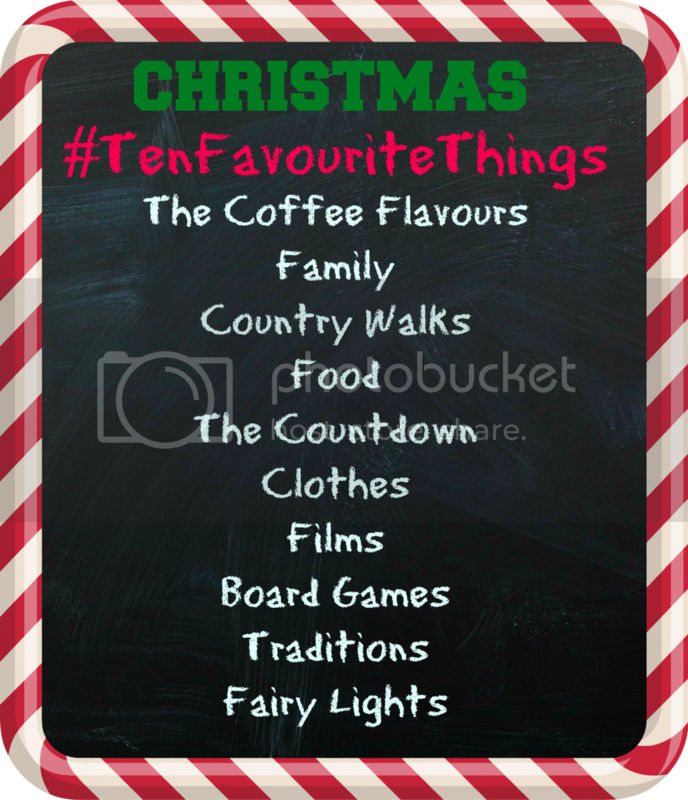 Ten Favourite Things, the Christmas edition! I've been meaning to share some of my favourite films, things and books with you on the blog in a series of lists, but I keep getting struck by inspiration for other more time sensitive posts and putting them off. 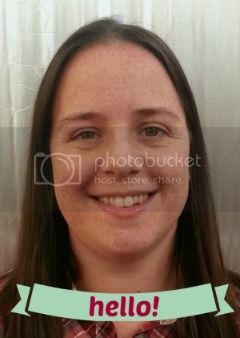 So when I stumbled across the favourite things link up that Brianna hosts, thanks to Jenni, I was super happy! A monthly prompt to create a post about my favourite things and in list format - that's exactly what I need! Plus this month's topic is the holidays and as all know how much I love the holidays this is like a dream come true for me! So without further ado I give you my top 10 favourite things about the Christmas holiday! Christmas Clothing - Christmas is the perfect excuse for snuggling up in festive clothes, be it my Christmas onesie, my Christmas pudding jumper, reindeer print pyjamas or my reindeer socks, when I pop them on I instantly feel soothed, calm and genuinely happy. Bliss. The Christmas films - Now it's never to early to get stuck into these. My favourites include Love Actually, The Santa Clause, Miracle on 34th Street (obvs), It's a Wonderful Life and Arthur Christmas. Is there anything better than drawing the curtains, lighting the candles and snuggling under the covers to watch a Christmas movie marathon? I think not. Board Games - my family is super competitive and when we're together it's rare that we aren't cracking open the Uno cards or playing a shouty game of articulate, so when it's the most magical time of the year we are all over the board games. It's not unheard of that we'll play the same game every day over the Christmas period and we may or may not be planning a family board game day this year. Yes an actual day dedicated to the fun. Traditions - When it comes to Christmas I'm all about the traditions and I have a very hard time letting go of old ones and creating new ones. I blame my parents for this but I also argue that Christmas traditions are a great thing, after all if you know that certain things make your Christmas why change them? That's why some of my traditions include: no walk, no Christmas lunch, no brussel sprouts at lunch, no presents after lunch, stockings are all opened together first thing in the morning, we all put up the tree together whilst wearing our Christmas jumpers and singing along to the songs and Christmas Eve is all about fish and chips for dinner before board games and bed. Fairy lights - these little sparkly wonders just make everything look better and let's be honest pretty. Part of me wishes they were up all year round, but I know that would ruin their magic! The countdown - When it comes to Christmas I like that we plan and plot and organise and create all for one period of 24 hours, but to me that's half the fun. I love the countdown (be it via advent candle or chocolate calendar or both!) and the preparation and the effort that goes into that special time of year. Spending time with family and friends - Probably number one in my book but it's great to catch up with people over Christmas and just spend time together, even if it is just sat on the sofa with my family watching Christmas films. It's just magical. The food - Food and Christmas go hand in hand for me and without the turkey and trimmings, Christmas cake, chocolate decorations, mince pies, just cooked sausage rolls, ginger log and LOTS more I would be a bit lost! The country walks - I love our Christmas day walk as there's always a chill in the air, everyone's cheery, wears Christmas jumpers and share Christmas greetings! Plus you know that when you return the most amazing meal awaits you. Plus the further you walk, the hungrier you are and the more turkey you can eat. Win win! The unbelievable coffee flavours - a blogging cliché I know but I love the flavours they've come up with. From the Peppermint Hot Chocolate to last year's Starbucks Praline Mocha to the Toffee Nut Latte and the Orange Mocha these flavours are bliss and each one is like drinking liquid Christmas. When those infamous red cups arrive we're all in for the most magical time of the year! So what are your favourite things about Christmas, I'd love to know and why not link up too? A last minute list of Christmas loveliness.